Mengikut laporan WIKILEAKS terbaru, 8 parti komponen Barisan Nasional telah memprotes penahanan Teresa Kok, Raja Petra dan wartawan Cina di bawah ISA pada tahun 2009 yang lepas. 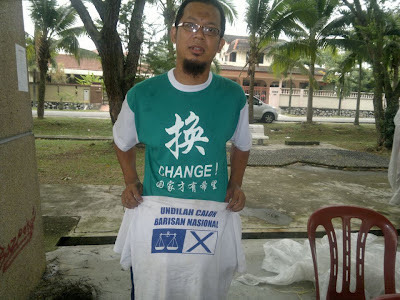 Alasan kononnya Teresa Kok menghalang azan di Puchong dan Kota Damansara tidak berjaya meyakinkan parti-parti komponen Barisan Nasional kerana mereka tahu alasan tersebut adalah satu penipuan. Malahan, laporan Kedutaan Amerika di Kuala Lumpur menyatakan parti MCA hampir-hampir mengisytiharkan keluar dari Barisan Nasional sekiranya mereka yang ditangkap ISA tersebut tidak dilepaskan. Pihak kedutaan Amerika sangat yakin penahanan Teresa Kok dan lain2 adalah untuk menakutkan lebih kurang 30 MP BN yang telah bercadang untuk melompat dan menjatuhkan Barisan Nasional. Itulah sahaja sebabnya digunakan ISA ke atas Teresa Kok. TIada kena mengena dengan tuduhan kononnya Teresa Kok menghalang azan dsbnya. 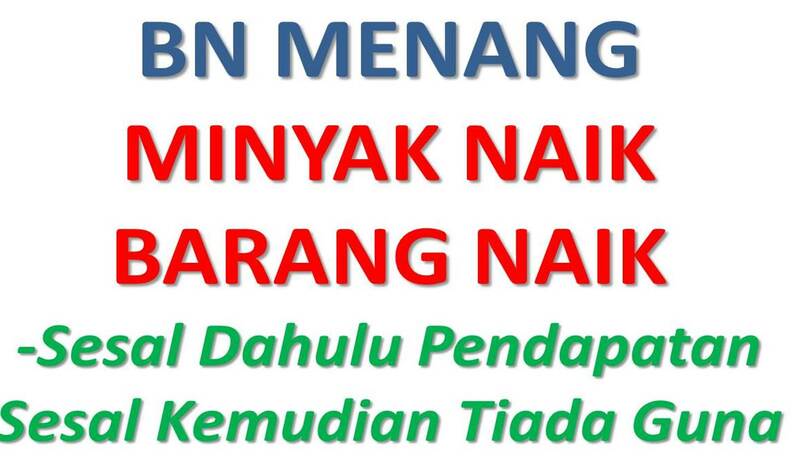 Yang jelasnya, Najib dan UMNO telah berada dalam keadaan kesempitan kerana kerajaan mereka hampir jatuh pada masa itu. Yang jelasnya ISA sudah semakin tidak popular. 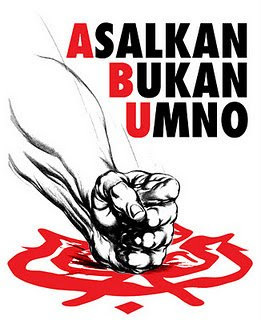 Hanya UMNO dan PERKASA sahaja yang menyokong ISA kerana tanpanya UMNO akan runtuh. 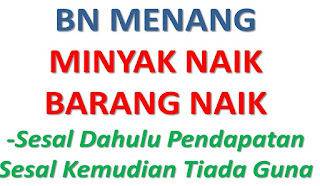 Mereka memerlukan ISA untuk memastikan wakil-wakil rakyat mereka tidak melompat dan wakil2 parti komponen BN tidak memberontak. The ISA also is subject to misuse for political ends and is an important insurance policy for maintaining UMNO in power. For both CT and political reasons, the GOM will not readily give up the ISA. We doubt that the increased political pressure and seeming swing in public opinion against the ISA, due in part to its misuse in September, will result in the ISA's amendment or revocation in the near future, absent the Opposition coming to power. Classified By: Political Counselor Mark D. Clark, reason 1.4 (b, c and d). NOTE: THIS CABLE TRANSMITS AN EDITED VERSION OF KUALA LUMPUR 1102 SENT ON 12/18/08 IN MORE RESTRICTED CHANNELS. END NOTE. 1. (S) Summary: The Malaysian government's use of the Internal Security Act (ISA), which allows for detention without trial and is central to the GOM's intelligence-driven CT effort, has come under increasing political pressure over the past three months. The GOM's employment of the ISA in September to carry out three politically-motivated ISA detentions unrelated to terrorism sparked unprecedented public criticism. At least eight component parties from the governing National Front (BN) coalition have since broken ranks with the leading United Malays National Organization (UMNO) and called for amending or abolishing the ISA. The opposition party alliance led by Anwar Ibrahim has made the revocation of ISA one of its highest profile policy goals. In November, a High Court judge delivered a legal blow to the GOM's wide discretion in using the ISA in a ruling that freed blogger Raja Petra, and the GOM is appealing the decision. Prime Minister Abdullah, his deputy and successor Najib and Home Minister Syed Hamid have defended the ISA as essential to national security, while Najib told the Ambassador privately ISA should be retained but used more judiciously. The GOM released 17 ISA detainees, among them 10 previously linked to terrorist groups, including Yazid Sufaat, from November 5 to December 4. 2. (S) Comment: The ISA is the cornerstone of Malaysia's CT effort and has allowed Special Branch to take successful preemptive action against suspected terrorists and their supporters. Given the GOM's exclusive reliance on the ISA "crutch" and on Special Branch's role, police and prosecutors remain ill-prepared to investigate and bring to trial terrorist suspects (or prosecute other complex criminal conspiracies). These developments, however, reinforce the conclusion (ref H) that Malaysia cannot take for granted the availability of the ISA as a CT tool in the long run. It remains in the U.S. interest to encourage and assist Malaysia to develop an approach centered on prosecutions and convictions before an independent judiciary to combat terrorism. 3. (C) Comment continued: It is unclear to what extent outside political pressures played a direct role in the GOM's latest release of ISA detainees. The decisions may have more to do with Syed Hamid's personal exercise of authority as Home Minister. Syed Hamid has taken a more proactive role as Home Minister, compared to PM Abdullah who held the position through March 2008 and tended not to become involved in details. End Summary and Comment. 4. (C) The Malaysian government's use of the Internal Security Act (ISA), central to the GOM's intelligence-driven counterterrorism efforts, has come under increasing political pressure since the September ISA arrests of three persons based on political rather security considerations. 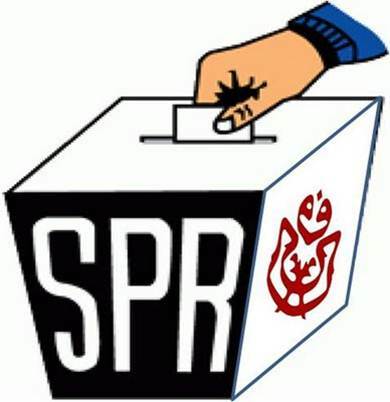 The September 12 ISA detentions of an ethnic Chinese journalist, an ethnic Chinese Opposition MP (Teresa Kok), and a prominent blogger (Raja Petra Kamarudin) served the ruling UMNO party's immediate political purpose of sending a warning to opposition politicians and those considering defecting from BN, as some UMNO politicians have told us. This came at a time when Anwar Ibrahim was publicly threatening to bring down the BN government via parliamentary crossovers by September 16. The arrests, however, also sparked unprecedented public criticism of the ISA, including from UMNO's ethnic minority partners within BN. The Malaysian Chinese Association (MCA), the key ethnic Chinese BN component party, reportedly threatened to leave BN unless the GOM released the Chinese journalist; the GOM complied within less than 24 hours (ref F). Authorities freed MP Teresa Kok after seven days. Home Minister Syed Hamid ordered a two-year ISA detention period for Raja Petra, who was freed on appeal in November in a surprise court ruling (see below). 5. 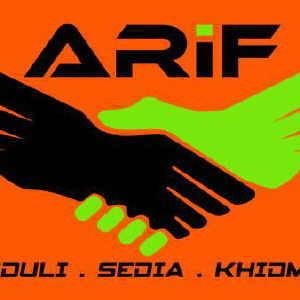 (C) Comment: Unlike his predecessor Mahathir, PM Abdullah refrained from using the ISA for political purposes until December 2007 when police detained five leaders of the ethnic Indian activist group HINDRAF that organized large street protests. The public viewed the GOM's September 2008 ISA arrests as more transparently political, in part because of the lack of public order concerns. End Comment. 6. (C) Political pressure against the ISA did not dissipate following the release of the first two of the three recent ISA detainees. At least eight component parties from the governing BN coalition of 14 parties have since broken ranks with UMNO and called for amending or reviewing the grounds for the ISA, while several have supported the law's abolition. In late September MCA, BN's second largest party, called for "a comprehensive review of the ISA so that it will apply strictly to cases relating to terrorism and subversive elements," and also argued for the introduction of "checks and balances in the use of ISA." The leader of the Gerakan party, Koh Tsu Koon, called on the GOM to "abolish the ISA once and for all," and rely on the judicial system instead. The leader of the Peoples Progressive Party (PPP) also initially called for ISA to be abolished, and on December 1 said PPP would withdraw from BN unless if the ISA were not amended before the next election. In response, Prime Minister Abdullah called PPP's bluff and said the small party, which holds no seats in Parliament, could leave BN if it wished. BN MPs so far have not backed up their criticism of ISA with action. In response to a petition circulated in Parliament for the review or repeal of ISA, only one BN MP signed his name. 7. (C) The opposition party alliance (Pakatan Rakyat, or Pakatan) led by Anwar Ibrahim has vocally condemned ISA as undemocratic and unjust, and made the abolishment of ISA one of its highest profile policy goals. A number of senior officials from Pakatan's three parties, Anwar's Peoples Justice Party (PKR), the Democratic Action Party (DAP), and the Islamic Party of Malaysia (PAS) were detained under ISA during the era of former Prime Minister Mahathir. Not surprisingly, the three parties have vowed to revoke ISA if they come to power. "Abolish ISA" was the most prominent theme at PKR's annual party conference on November 29, which Polcouns observed. The keynote event concluded with a focus on ISA and featured large screens that scrolled through the list of all 60-plus ISA detainees with the several thousand attendees reciting the detainees' names as they appeared. Well-known blogger Raja Petra, released from ISA detention only days before, mounted the stage as the surprise guest of the grand finale. 8. (SBU) On November 7, a High Court judge delivered an unanticipated legal blow to the GOM's wide discretion in using the ISA in a habeas corpus ruling that freed blogger Raja Petra. The Embassy obtained the full text of the judge's 22-page ruling. ISA Section 8.B states "there shall be no judicial review in any court" of the Home Minister's exercise of "discretionary powers in accordance with this Act," except for compliance with procedural requirements. The judge ruled, however, that the Home Minister decisions could not be "unfettered and arbitrary," allowing for the court to consider whether the Minister's ISA detention order was "in accordance with the Act," and its focus on threats to national security, including the national economy; threats to maintenance of essential services; and threats to the public emanating from a "substantial body of persons" who intend to change the government through unlawful means. In the case of Raja Petra, the judge concluded that the grounds for his detention did not fall within the purview of the ISA. The government has appealed the ruling and as of mid-December the appeal remains pending. 9. 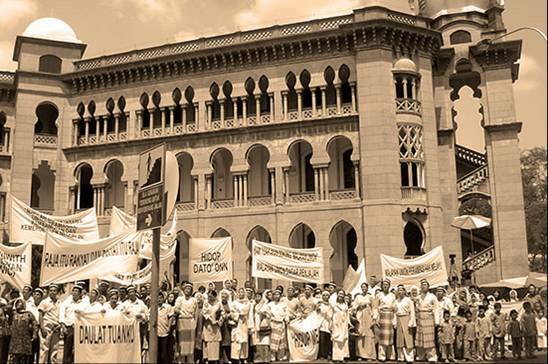 (C) Many civil society groups took the opportunity over the past three months to highlight their standing opposition to the ISA, as well as other emergency ordinances that allow for detention without trial. Both conservative and liberal Muslim NGOs called on the GOM to abolish the ISA, as did the inter-faith Consultative Forum that groups the leaders of all major religions except Islam. The National Human Rights Commission (SUHAKAM) chairman Abu Talib restated the commission's existing position, namely "detention without trial is against human rights principles; that's why we advised the Government years ago to repeal the ISA." 10. (C) As questions over the ISA have mounted, Prime Minister Abdullah, his deputy and successor Najib, and other senior UMNO leaders defended the ISA as essential to national security. In the wake of public criticism over the September ISA arrests, Home Minister Syed Hamid, who has authority under the ISA to approve detention orders, defended the Act as essential and stated clearly that "we have no plans to do away with ISA." In early December, Syed Hamid waved off criticisms, arguing that the ISA "has never been abused or used for politics." He also commented that, "Malaysians sometimes don't know how lucky we are in that we have not experienced what is happening in Mumbai (the terrorist attack) and Bangkok (political unrest) now." He said the fact that there have been no post 9/11 terrors attacks in Malaysia was in part due to the ISA. On December 15, Syed Hamid again publicly defended use of the ISA, stating, "More apt, faster and better to use the ISA... detention under the act is early action to prevent the security of the country from being adversely affected." 11. (C) DPM Najib, who is anticipated to become Prime Minister in late March 2009, told the Ambassador privately on November 11 that the government continued to need the ISA, "even though there are civil liberty concerns," but should reserve ISA only for those who pose "serious threats, like terrorists" (ref A). On December 8, PM Abdullah publicly rejected calls for amendments to the ISA. 12. (SBU) In early December, local and international press reported that the GOM had released 17 ISA detainees from November 5 through December 4. Of those released, 10 had been held for suspected links to Al Qaeda, Jemaah Islamiyah, and/or the Darul Islam terrorist groups. The released terrorist suspects included Yazid Sufaat, who played an important role in Al Qaeda's anthrax development program, according to the 9/11 Commission. The remaining seven persons released consisted of suspected foreign agents (2 persons), southern Thailand separatists (2), document forgers (2), and prominent blogger Raja Petra, according to an NGO that consistently and accurately monitors ISA detentions. In his public remarks, Syed Hamid said those recently released ISA detainees had been rehabilitated and no longer posed a security threat to Malaysia. 13. (S) Note: Authorities had detained the terrorist suspects for periods between two and (in the case of Yazid Sufaat) seven years, for an average detention period of four years for the ten individuals. Special Branch relies on a process for rehabilitating ISA detainees, and eventually releasing them under restricted and monitored conditions when judged necessary. The GOM has never attempted to prosecute any terrorist suspects, including those held under the ISA. This is due in large part to the fact that the GOM pursues almost exclusively an intelligence approach to CT, as opposed to a law enforcement approach that would involve criminal investigations, collection of legally admissible evidence, and development of cases for prosecution in the courts. In 2007, Malaysia amended anti-terrorism provisions in its penal code and criminal procedures code, but authorities have not yet utilized these provisions. Malaysia also has a poor track record of prosecuting other complex criminal conspiracies, including drug trafficking cases, preferring instead to utilize the ISA and other emergency ordinances to detain suspects without trial. End Note. 14. (S) A well-known journalist contacted us in early December and said that officers of the Police Special Branch had complained to him that Home Minister Syed Hamid had ordered the recent releases of terrorist suspects without adequate consultation and in some cases against the recommendation of Special Branch. Australian and British diplomats, speaking with Polcouns December 16, stated that Syed Hamid, who is a lawyer by training, personally reviewed the dossiers of ISA detainees and was inclined to approve releases absent compelling justification from the Special Branch. 15. (C) The Thai embassy contacted Poloff on December 15 to express concern over the release of two ISA detainees (Abdul Rahman bin Ahmad and Mat Tarmizi bin Shamsudin, who apparently are dual-citizens of Malaysia and Thailand) who had been held for their connection to the insurgency in southern Thailand. The Thai diplomat said Bangkok considered Abdul Rahman in particular to be a major player in the insurgency. He noted that those released are required to remain in Malaysia and check in periodically with the police. The Thai diplomat said he believed the GOM released the detainees in order to diffuse criticism of the ISA. We learned that the Thai embassy also has contacted other Western embassies (UK, France, Australia) to express concern over the recent ISA releases.